Musician Maro has been named Sole Hope ambassador. Sole Hope is a non-profit organisation which is dedicated to fighting foot related infections/diseases in Eastern Uganda. Speaking about his new role, Maro says he is more than happy to be considered as a voice for change in the country. 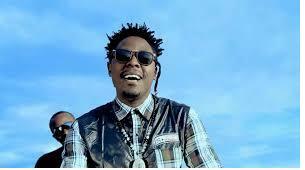 Maro has recorded a song preaching against jigger stigma entitled, “Tundula”. He says the government should declare jigger day in Uganda as it is in Kenya.